Such is the world of nature but there is another and still more wonderful world. There is a power which avails to alter and subdue this visible world and to suspend and counteract its laws, that is, the world of Angels and Saints, of Holy Church and her children and the weapon, by which they master its laws, is the power of prayer. By prayer all this may be done, which naturally is impossible. Noah prayed and God said that there never again should be a flood to drown the race of man. Moses prayed and ten grievous plagues fell upon the land of Egypt. Joshua prayed and the sun stood still. Samuel prayed and thunder and rain came in wheat-harvest. Elias prayed and brought down fire from heaven. Eliseus prayed and the dead came to life. Ezechias prayed and the vast army of the Assyrians was smitten and perished. This is why the Blessed Virgin is called Powerful—nay, sometimes, All-powerful, because she has, more than anyone else, more than all Angels and Saints, this great, prevailing gift of prayer. No one has access to the Almighty as His Mother has, none has merit such as hers. Her Son will deny her nothing that she asks and herein lies her power. While she defends the Church, neither height nor depth, neither men nor evil spirits, neither great monarchs, nor craft of man, nor popular violence, can avail to harm us, for human life is short but Mary reigns above, a Queen for ever. Mary, “Virgo Potens,” Powerful Virgin, Pray for us! And this, too, is why the Blessed Virgin is the comforter of the afflicted. We all know how special a mother’s consolation is and we are allowed to call Mary our Mother from the time that our Lord from the Cross established the relation of mother and son between her and St John. And she especially can console us because she suffered more than mothers in general. Women, at least delicate women, are commonly shielded from rude experience of the highways of the world but she, after our Lord’s Ascension, was sent out into foreign lands almost as the Apostles were, a sheep among wolves. 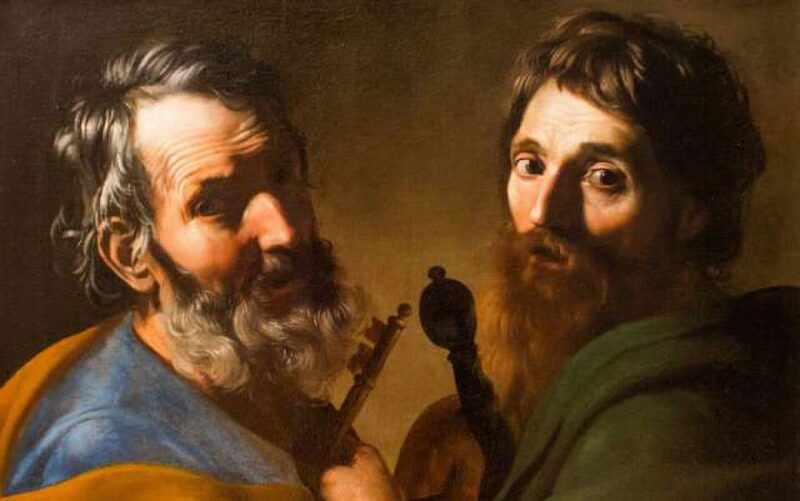 In spite of all St John’s care of her, which was as great as was St Joseph’s in her younger days, she, more than all the saints of God, was a stranger and a pilgrim upon earth, in proportion to her greater love of Him who had been on earth, and had gone away. As, when our Lord was an Infant, she had to flee across the desert to the heathen Egypt, so, when He had ascended on high, she had to go on shipboard to the heathen Ephesus, where she lived and died. O ye who are in the midst of rude neighbours or scoffing companions, or of wicked acquaintance, or of spiteful enemies and are helpless, invoke the aid of Mary by the memory of her own sufferings among the heathen Greeks and the heathen Egyptians. Help us!, Pray for Us! ST PAUL calls elect souls vessels of honour: of honour, because they are elect or chosen; and vessels, because, through the love of God, they are filled with God’s heavenly and holy grace. How much more then is Mary a vessel of honour by reason of her having within her, not only the grace of God but the very Son of God, formed as regards His flesh and blood out of her! But this title “honorabile,” as applied to Mary, admits of a further and special meaning. She was a martyr without the rude dishonour which accompanied the sufferings of martyrs. The martyrs were seized, haled about, thrust into prison with the vilest criminals and assailed with the most blasphemous words and foulest speeches which Satan could inspire. Nay, such was the unutterable trial also of the holy women, young ladies, the spouses of Christ, whom the heathen seized, tortured and put to death. 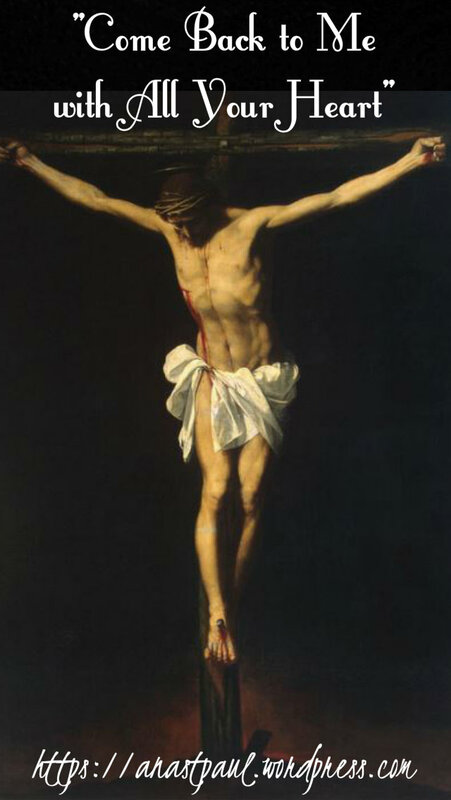 Above all, our Lord Himself, whose sanctity was greater than any created excellence or vessel of grace—even He, as we know well, was buffeted, stripped, scourged, mocked, dragged about, and then stretched, nailed, lifted up on a high cross, to the gaze of a brutal multitude. But He, who bore the sinner’s shame for sinners, spared His Mother, who was sinless, this supreme indignity. Not in the body, but in the soul, she suffered. True, in His Agony she was agonised; in His Passion she suffered a fellow-passion; she was crucified with Him; the spear that pierced His breast pierced through her spirit. Yet, there were no visible signs of this intimate martyrdom, she stood up, still, collected, motionless, solitary, under the Cross of her Son, surrounded by Angels and shrouded in her virginal sanctity from the notice of all who were taking part in His Crucifixion. Mary “Vas Honorabile,” Vessel of Honour – Pray for us! TO be devout is to be devoted. We know what is meant by a devoted wife or daughter. It is one, whose thoughts centre in the person so deeply loved, so tenderly cherished.,, She follows Him about with her eyes; she is ever seeking some means of serving Him and, if her services are very small in their character, that only shows, how intimate they are and how incessant. And especially if the object of her love be weak, or in pain, or near to die, still more intensely does she live in His life and know nothing but Him. But great as was St Paul’s devotion to our Lord, much greater was that of the Blessed Virgin, because she was His Mother and because she had Him and all His sufferings actually before her eyes and because she had the long intimacy, of thirty years with Him and because she was from her special sanctity, so ineffably near to Him in spirit. When, then, He was mocked, bruised, scourged and nailed to the Cross, she felt as keenly as if every indignity and torture inflicted on Him, was struck at herself. She could have cried out in agony at every pang of His. To answer this question, it must be recollected that the pains of the soul may be as fierce as those of the body. Bad men who are now in hell and the elect of God who are in purgatory, are suffering only in their souls, for their bodies are still in the dust. Yet how severe is that suffering! And perhaps most people who have lived long, can bear witness in their own persons, to a sharpness of distress, which was like a sword cutting them, to a weight and force of sorrow which seemed to throw them down, though bodily pain there was none. What an overwhelming horror it must have been, for the Blessed Mary, to witness the Passion and the Crucifixion of her Son! Her anguish was, as Holy Simeon had announced to her, at the time of that Son’s Presentation in the Temple, a sword piercing her soul. If our Lord Himself could not bear the prospect of what was before Him and was covered in the thought of it with a bloody sweat, His soul thus acting upon His body, does not this show how great mental pain can be? and would it have been wonderful though, if Mary’s head and heart, had given way as she stood under His Cross? HERE again, as in our reflections of yesterday, we must understand what is meant, by calling our Lord a Saviour, in order to understand why it is used, to form one of the titles given to Mary in her Litany. The special name by which our Lord was known before His coming was, as we found yesterday, that of Messias, or Christ. Thus He was known to the Jews. But when He actually showed Himself on earth, He was known by three new titles, the Son of God, the Son of Man and the Saviour; the first expressive of His Divine Nature, the second of His Human, the third of His Personal Office. Thus the Angel who appeared to Mary, called Him the Son of God; the angel who appeared to Joseph called Him Jesus, which means in English, Saviour; and so the Angels, too, called Him a Saviour when they appeared to the shepherds. But He Himself specially calls Himself the Son of Man. Now let us consider how this affects our thoughts of Mary. To rescue slaves from the power of the Enemy implies a conflict. Our Lord, because He was a Saviour, was a warrior. He could not deliver the captives without a fight, nor without personal suffering. Now, who are they who especially hate wars? A heathen poet answers. “Wars,” he says, “are hated by Mothers.” Mothers are just those who especially suffer in a war. They may glory in the honour gained by their children but still such glorying, does not wipe out, one particle of the long pain, the anxiety, the suspense, the desolation and the anguish which the mother of a soldier feels. So it was with Mary. And then, when years had run out, she heard of His arrest, His mock trial and His passion. At last she got near Him—when and where?—on the way to Calvary and when He had been lifted upon the Cross. And at length she held Him again in her arms, yes—when He was dead. True, He rose from the dead but still she did not thereby gain Him, for He ascended on high and she did not at once follow Him. No, she remained on earth many years—in the care, indeed, of His dearest Apostle, St John. But what was even the holiest of men, compared with her own Son and Him the Son of God? O Holy Mary, Mother of our Saviour, in this meditation we have now suddenly passed from the Joyful Mysteries to the Sorrowful, from Gabriel’s Annunciation to thee, to the Seven Dolours. That, then, will be the next series of Meditations which we make about thee. 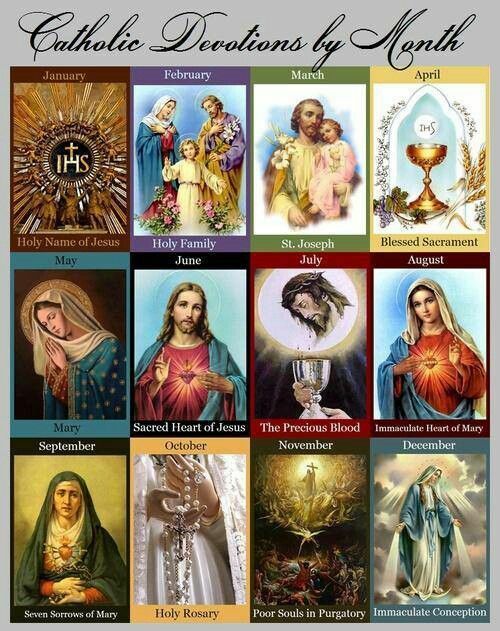 O Holy Mary, Mother of our Saviour, Pray for us! EACH of the titles of Mary has its own special meaning and drift and may be made the subject of a distinct meditation. She is invoked by us as the Mother of Christ. What is the force of thus addressing her? It is to bring before us that she it is whom from the first was prophesied of and associated with, the hopes and prayers of all holy men, of all true worshippers of God, of all who “looked for the redemption of Israel” in every age before that redemption came. Our Lord was called the Christ, or the Messias, by the Jewish prophets and the Jewish people. The two words Christ and Messias mean the same. They mean in English, the “Anointed.” In the old time there were three great ministries or offices by means of which, God spoke to His chosen people, the Israelites, or, as they were afterward called, the Jews, viz., that of Priest, that of King and that of Prophet. Those who were chosen by God for one or other of these offices, were solemnly anointed with oil—oil signifying the grace of God, which was given to them for the due performance of their high duties. But our Lord was all three, a Priest, a Prophet and a King—a Priest, because He offered Himself as a sacrifice for our sins; a Prophet, because He revealed to us the Holy Law of God; and a King, because He rules over us. Thus He is the one true Christ. It was in expectation of this great Messias that the chosen people, the Jews, or Israelites, or Hebrews (for these are different names for the same people), looked out from age to age. He was to come to set all things right. And next to this great question which occupied their minds, namely, When was He to come, was the question, Who was to be His Mother? It had been told them from the first, not that He should come from heaven but that He should be born of a Woman. At the time of the fall of Adam, God had said, that the seed of the Woman, should bruise the Serpent’s head. Who, then, was to be that Woman thus significantly pointed out to the fallen race of Adam? At the end of many centuries, it was further revealed to the Jews that the great Messias, or Christ, the seed of the Woman, should be born of their race and of one particular tribe, of the twelve tribes, into which that race was divided. From that time every woman of that tribe hoped to have the great privilege of herself, being the Mother of the Messias, or Christ; for it stood to reason, since He was so great, the Mother must be great and good and blessed too. Hence it was, among other reasons, that they thought so highly of the marriage state, because, not knowing the mystery of the miraculous conception of the Christ, when He was actually to come, they thought that the marriage rite was the ordinance necessary for His coming. Hence it was, if Mary had been as other women, she would have longed for marriage, as opening on her the prospect of bearing the great King. But she was too humble and too pure for such thoughts. She had been inspired to choose that better way of serving God, which had not been made known to the Jews—the state of Virginity. She preferred to be His Spouse, to being His Mother. Accordingly, when the Angel Gabriel announced to her, her high destiny, she shrank from it, till she was assured, that it would not oblige her, to revoke her purpose, of a virgin life devoted to her God. Thus was it that she became the Mother of the Christ, not in that way, which pious women for so many ages had expected Him but, declining the grace of such maternity, she gained it by means of a higher grace. And this is the full meaning of St Elizabeth’s words, when the Blessed Virgin came to visit her, which we use in the Hail Mary: “Blessed art thou among women and blessed is the fruit of thy womb.” And, therefore, it is that, in the Devotion called the “Crown of Twelve Stars” we give praise to God, the Holy Ghost, through whom she was both, Virgin and Mother.